And you won’t have to sacrifice comfort, either, thanks to our 13-position adjustable driver’s seat with retractable seat belt and a Double A-Arm front suspension with coil-over shocks that will enhance your ride. 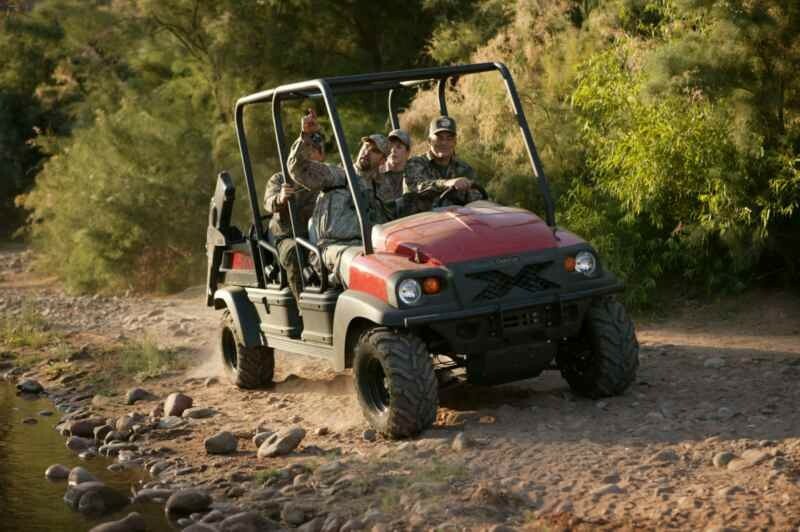 It’s the perfect hunting utility vehicle for taking the entire group on whatever trail or woodland you want to go. IntelliTrak makes it easy to work on the tough terrain you need to traverse. Our automatic, all-wheel drive system senses where you are and shifts gears as needed – without the need to stop and engage a locking differential. Select “forward or “reverse” and the system does the rest. 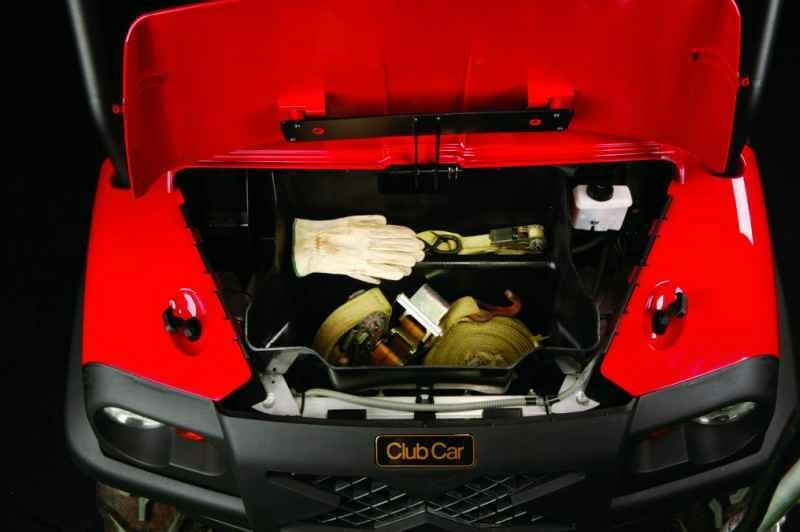 Increase your carrying capacity with a custom storage cowl from Club Car, designed to hold up to 25 pounds of equipment. Your extra gear will be safe and secure under the hood, no matter the terrain or setting. Take a trip to a favorite piece of land or have everything you need for the morning’s hunt – all in one place.